The rates of postpartum pelvic pain, sexual dysfunction, pelvic organ prolapse, and depression in women are similar between vaginal and cesarean births. The College says additional research is needed on both the short-term and long-term outcomes of maternal-request cesareans on women and babies. Committee Opinion #559, “Cesarean Delivery on Maternal Request,” is published in the April issue of Obstetrics & Gynecology. 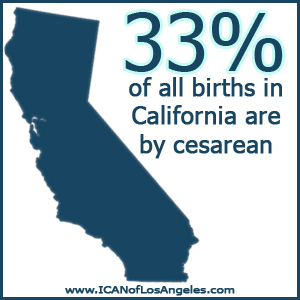 This entry was posted in Research and tagged ACOG, C-section, elective cesarean. Bookmark the permalink.